30 years ago a small group of concerned citizens pulled together to protect and save a world-class dinosaur destination. This new interactive exhibit will feature photos, audio clips, and video footage spanning three decades of volunteerism, friendship, and fun that made it all possible. 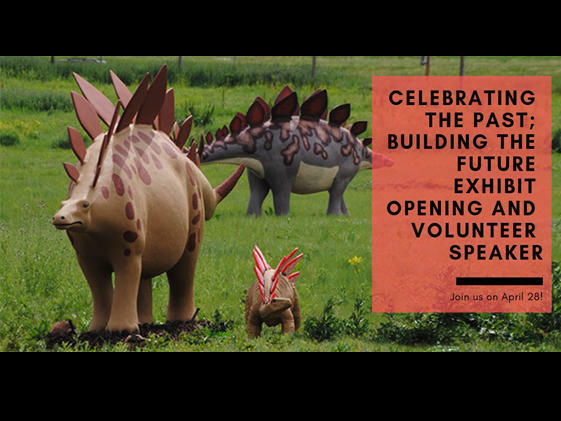 Several of Friends of Dinosaur Ridge’s founders and long-time staff will gather to share personal stories and reminiscence about their days in the dirt at Dinosaur Ridge. Enjoy light appetizers and drinks and find out how you can help build the future by volunteering. This event is FREE and open to the general public.